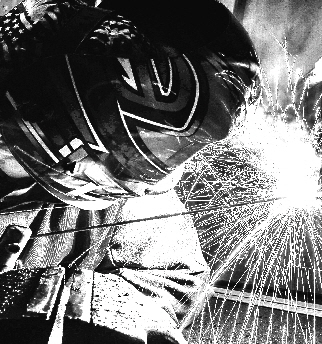 I started my career in welding in a 9th grade shop class in Springfield Mo. in the late 70’s. Followed by 3 years for 3 hours a day in High School in Memphis. Following that, over 30 weeks of training in the US Navy’s C-1 Welding School. Guess what, after all of that training, I still had things to learn. Its a lifelong experience and I would love to share some of it with you or your organization. As a welder in various industries over the years, I have had to learn new skills without the aid of an instructor. Let me share some of the things I had to learn the hard way with you or your organization. I am proficient at most hand held processes and base metals. I can help you get “over the hump” on passing basic and advanced welder qualification tests. In addition, training for welding inspection is available. I have 35 years experience on hands as a welder and have been involved with code compliant welding for about 33 years. I 1st certified as a US Navy QAI (Quality Assurance Inspector) and CMPO (Controlled Material Petty Officer) in 1985. I 1st certified as an AWS CWI in 1990. I can teach you inspection skills that will help you be confident in areas related to inspection of weld. Is your organization interested in becoming an AWS Accredited Test Facility? If so, let me come help you with a brief overview of my experience with the process. I am not the best welder, I am not the most knowledgeable, but what I am is a person willing to give 100% to helping you know what I know. This trade has been very good to me and I would love to share it at every chance. I can currently perform training at your location. If you are interested in one on one training, training as a group, or customized on-site training for your organization, please contact me.